Family-friendly-fun! 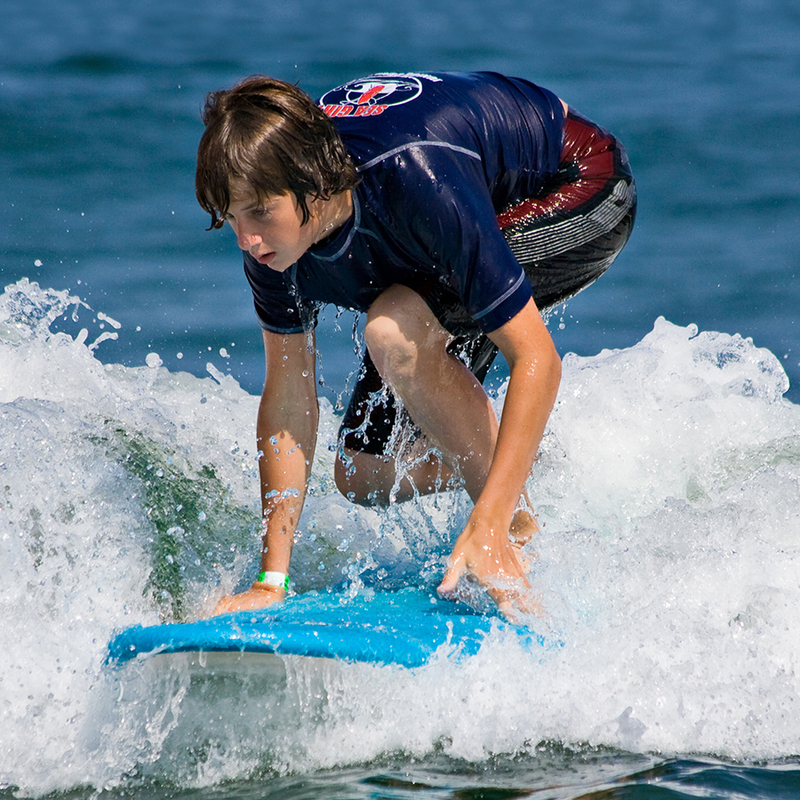 Our Maui surf lessons are taught by an amazing group of patient and experienced surf instructors. We do our Maui surf lessons at one of the best learning spots on the island, Kalama Beach Park in sunny Kihei. Our surf lessons are at Kalama Park in Kihei (South Maui). We love this surf spot for its gentle rolling waves, large surf area and a foot-friendly bottom. South Maui is also famous for its non-stop sunshine, beautiful sandy beaches and its hang loose vibe. If you have family members that do not want to have a lesson, Kalama Park is a large recreational park with shade trees, excellent viewing areas, cafes, coffee shops and shopping across the street. On the day of your Maui Surf lesson we meet at Kalama Park about 15-30 minutes before your scheduled lesson time. We recommend putting sunscreen on 30 minutes a head of time. Upon arrival we’ll have you put on a rash guard and some booties. We’ll make sure we have the right size board for your dimensions (size and weight) and you are comfortable. Next is a thorough and fun beach instruction by one of our friendly guides covering the “How to’s”, the “How not to’s”, as well as the “How the heck do you do that” of surfing. Launch your board and paddle out with one of our experienced instructors and It’s all about surfing from here on. At the end, paddle in, retire your rash guard and booties in exchange for some refreshments and snacks. At this point we promise that you’ll be hooked on surifng, maybe you’ll wanna come out again or rent a board and have some fun on your own. Our Instructors Make it Easy & Fun! Our surf instructors will welcome you with a friendly smile and get you set up with a rash guard and a proper sized board for your stature. Before you get tin the water, your instructor will show you the technique of surfing and have words of advice to help you optimize your time in the water. Then it’s surf time and the instructor will be in the water with you if you need any help or encouragement. We promise it will be one of your most cherished Maui vacation memories. Mom and Dad you’ll have nothing on the kids here – they are likely to be giving YOU pointers! Kids 8 & Under must go on a semi-private lesson for safety & supervision. All equipment is provided. Kalama Beach Park on Maui’s South Shore is a large park blanketed in warm sunshine most days of the year. There is an oceanside grassy area with shade trees for family members to watch, and the area is ideal for learning to surf and paddleboard. *This is one of the only county permitted locations for Maui paddle board lessons! There are only a few companies permitted by the county of Maui to teach surfing and standup lessons, we are one of them. Others will have you in spots that are a little too risky (crossing a highway to rappel down a cliff, or ask you to say it’s not a surf lesson if anyone asks, etc.). You decide. We take pride in safe, family fun lessons.